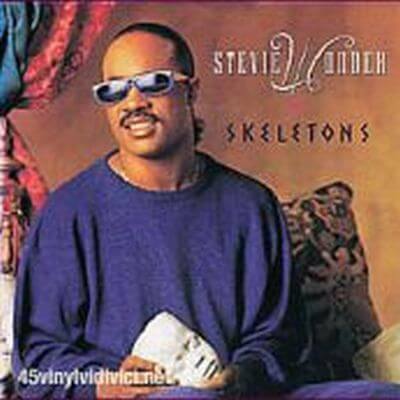 It was in September 1987 when Stevie Wonder published -as a single from his album Characters- "Skeletons". Song for which he received a nomination as best song in the category of RnB, and another as best vocal performance in the same category. It was No.1 on the "Black Singles Chart" list, while also placing it in the top 20 of the "Billboard Hot 100" and "US dance chart". The song, of style funky-synthpop, told the lies and deceptions that were being discovered in society and politics. The song appeared in the movie "Crystal Jungle" when the character Argyle spoke on the phone, and also appeared in the second trailer of the soundtrack of the video game Grand Theft Auto V.